A very warm welcome to the 59th Edington Music Festival in a year when we celebrate the installation of the new Harrison & Harrison organ and the successful completion of the appeal which has enabled this beautiful instrument to be built. Whether you are a resident of Edington, an annual visitor, or with us for the first time, I hope you enjoy the week. The Reverend George Herbert is not a new ‘theme’ to Edington. He married Jane Danvers in the church on 5 March 1629, and spent the last three years of his life in the diocese as Rector of Bemerton and Fugglestone. A successful George Herbert Festival in Bemerton this summer and the publication of John Drury’s acclaimed biography Music at Midnight have done much to bring about a renewed interest in his work. This week we base our study of his poetry around the Seven Sacraments, giving us a focus that happily combines liturgy, words and music. 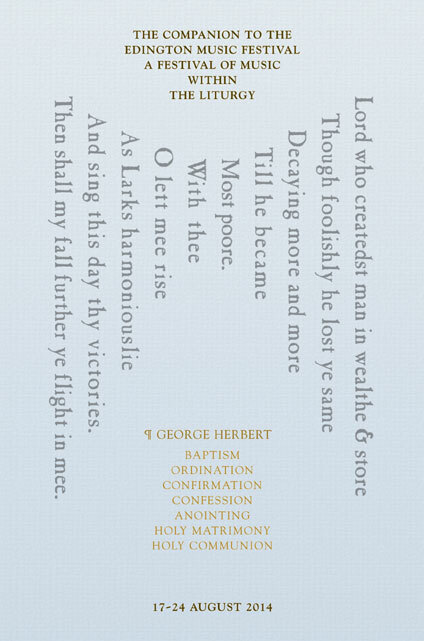 Herbert has inspired fine music since Henry Lawes composed Psalme 23 and George Jeffreys set Easter in the 1600s. In this festival, we hear familiar Herbert settings by Vaughan Williams, Howells and Leighton. It is timely that we feature music by Judith Weir, recently appointed Master of the Queen’s Music; her settings of Herbert (the three movements of Vertue and Love bade me welcome) are featured throughout the week in performances sung by the Consort, conducted by Jeremy Summerly. A composer who has set a number of Herbert’s texts is Alec Roth. I am delighted that he has written this year’s festival commission Et organo—not surprisingly, a setting of words from Psalm 150 for choir with virtuoso organ accompaniment. We look forward to its premiere at Matins on Friday morning. Of course, the arrival of the new organ has inspired some of the music choices. On Sunday morning, the Mass is sung to Jean Langlais’ Messe solennelle, a work which will not only show off the power of the instrument, but also some of its more exotic colours. Like Alec Roth’s commission, Matthew Martin’s Evening Canticles, written for St John’s College, Cambridge, give the organist a rigorous work-out. This music would have been less than effective on the previous instrument, and we look forward to hearing it at Evensong on Wednesday 20 August, which will be broadcast by the BBC. Since last year’s festival, Matthew has been announced as the winner of the ‘Liturgical’ category of the British Composer Awards. We congratulate him on this achievement. The 2013 festival ended with the news that the appeal target for the new organ had been reached. It’s a terrific achievement to manage this in such a short time, and I am extremely grateful to the members of our appeal sub-committee for their very effective work. Some of their energy will now go in to the creation of Edington Arts, a new concert series promoting the organ and the arts in general. Robin Wilson has been meticulous in driving the project forward from Edington, and we are all very grateful to him and to his working party. Robin’s care for the removal of the previous instrument even extended to leading a group of parishioners to see it in its new home in Tallinn! John Norman has been the advisor from the outset, and I am grateful for the expertise he has brought to the project. I hope you will agree that the new instrument looks stunning—it has been suggested that it looks as though it has always been here! The craftsmanship of Harrison & Harrison is second to none in this country, and I know that they are justifiably proud of their new organ. Andrew Scott has led the voicing team, taking great care to make sure the organ sounds as good as it looks. Andrew, along with Managing Director Chris Batchelor and Chairman Mark Venning, will be with us for the festival. It is particularly fortunate that we are able to welcome one of the country’s most brilliant organists as Festival Organist. Daniel Hyde has a formidable reputation as an organist and conductor, and next year begins the Herculean task of playing the complete organ works of Bach in weekly concerts in Oxford. There will be extensive music before the Eucharist and Evensong each day; please do come and hear some of the greatest works in the repertoire. In a new departure, we have a series of short recitals before Evensong on Monday, Tuesday, Thursday and Friday. 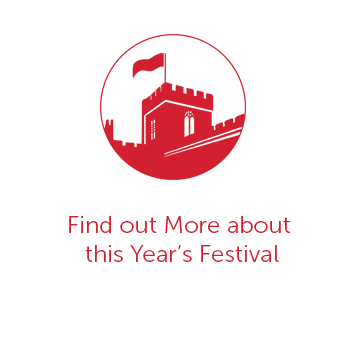 Former Festival Organists Peter Wright, Stephen Farr and Julian Thomas join Daniel to present a varied selection of repertoire, including a performance of Alleluyas composed by the first Organist of the festival, Simon Preston. Stephen Farr’s recital includes the world premiere of a Chorale Prelude by Joseph Phibbs, commissioned by the Edington Music Festival Association as part of the Orgelbüchlein Project (www.orgelbuechlein.co.uk). This year we have created the post of Assistant Organist, and I’m pleased to say that Charles Maxtone-Smith, a pupil at Winchester College, will fulfil this role, playing regularly at Matins and Compline throughout the week. As many of you will know, Ashley Grote was to have given the ‘Dedication Concert’ on Saturday 23 August. Sadly, because of family illness, he is not able to be with us this summer. We send Ashley and his family our best wishes, and hope that we will hear him play the organ he has done so much to bring about before too long. Andrew Lumsden, Organist and Director of Music of Winchester Cathedral, and yet another former Festival Organist, has kindly agreed to play the concert. You will not only hear the organ in a solo capacity (including a new piece by Guy Bovet, also written as part of the Orgelbüchlein Project), but also accompanying the combined choirs in Hubert Parry’s Hear my words. As is now traditional, we move to the stunning church at Steeple Ashton on Friday afternoon. Jeremy Davies, former Precentor of the Cathedral that Herbert visited twice-weekly, will deliver his lecture ‘George Herbert—A Celebration’, with musical examples sung by singers from the different choirs. Thank you to the local community in Edington whose willingness and hard work makes the festival possible. We really appreciate the welcome we receive from the Vicar, The Reverend Mark Jones, and all in Edington, especially the team who work so hard throughout the year to put this festival together: Clare Norfolk-Brown, Sheila Pinson, Julia Taylor, Allan Edwards, John d’Arcy, Rachel King, Sheila Miles and Chloë Watts. 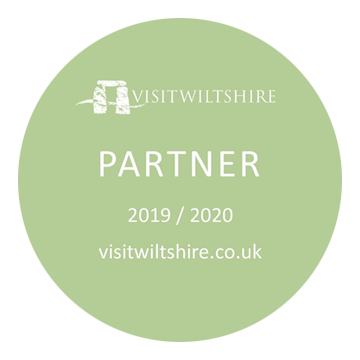 I would also like to offer my thanks to those from the festival who have taken on special responsibilities: Mark Bushby, Matthew Power, Hugo Janacek, James Butler, Emily Roberts and Eleanor Lane. Peter Roberts works tirelessly throughout the year, bringing expertise and great organizational skills to every area of the festival. I am very grateful to him—his involvement is invaluable. Our worship is, as ever, led by a clergy team that is second to none, and we look forward to hearing them preach throughout the week. We are delighted to welcome back The Right Reverend Dr Edward Condry, Bishop of Ramsbury, to dedicate the organ at Evensong on Saturday 23 August. This will be an occasion that will afford us the opportunity to give thanks for our great good fortune and to celebrate; it will also serve as a reminder of the daily worship that is so beautified by the word spoken and sung in the Priory Church, and send us out into the world refreshed and revitalised. I hope you enjoy this most special of weeks.